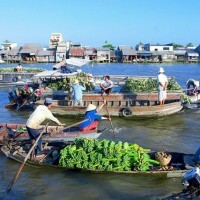 Use the form below to contact tour Mekong Delta half day tour - Cai Rang floating market directly. Mekong Delta Tours is honored to introduce to travellers our Mekong Delta half day tour – Cai Rang floating market program. Departing at 6.30 from NinhKieu Wharf. Taking a motorbike boat to Cai Rang floating market. 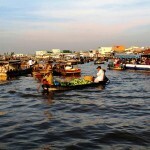 On the way, you can observe many interesting activities along Can Tho riverbanks. You will have chance to know how local people go fishing and transport tourists as well as product by the waterway. Reaching Cai Rang floating market, you can reappear the selling activities in the past by using a traditional “offering pole” for exchanging consumer products. 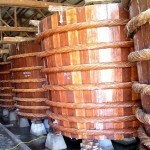 The traveller will visit the local rice-nobble factory and learn more about the traditional method to produce the rice-noble. To know more about lifestyle over there, just keep going into some small creeks, you will feel the fresh atmosphere and enjoy the Southern countryside. 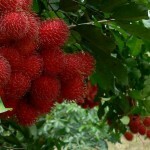 Visiting where you can eat some special seasonal fruits. 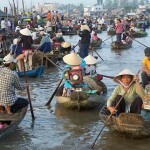 Thank you for visiting our Mekong Delta half day tour – Cai Rang floating market. We are looking forward to serving you.